Marble Duel is an interesting and unique match-3 battle game. 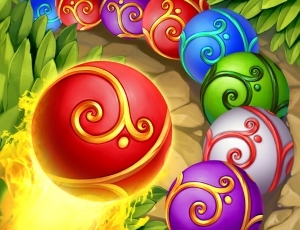 Win duelsMaster the ancient power of magic spheres! Develop your hero! Level your mage up to Legendary! Upgrade your spellsImprove your magic skills from duel to duel! Meet extraordinary characters! Be prepared to find very unusual allies.